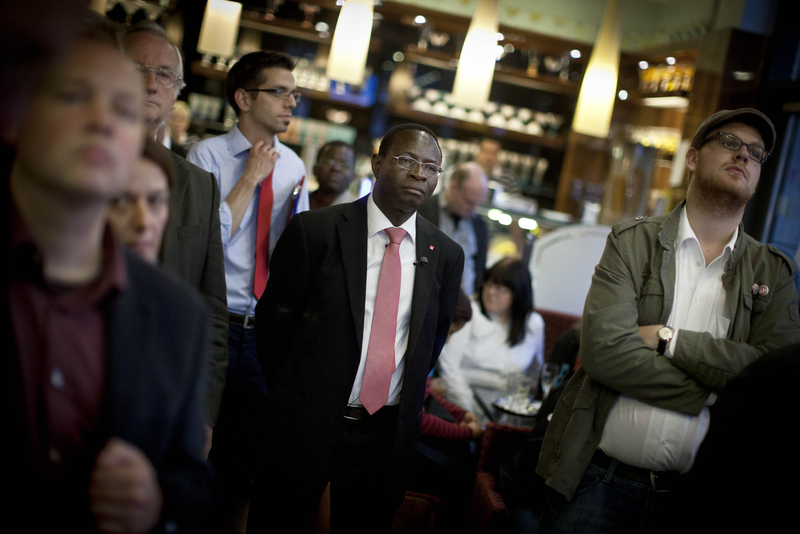 Senegalese born Karambe Diaby , Social Democratic candidate for the German Parliament reacts after he first projections on election day in his constituency in Halle/Saale. Diaby, a PhD in chemistry, canvassed the former hub for East Germany's chemical industry to become the first black member of the Bundestag in German history. Although Karamba failed to secure a direct mandate from his district, he managed to get elected through Germans’ second votes, which are cast for so-called party lists.